For those of you who have been working for the USPS since 1993 you may recall the USPS agreeing with all of the postal unions except the APWU, to implement the Employee Involvement/Quality of Work Life (EI/QWL). It was a program in which members of management and craft employees from the other unions were supposed to work together to improve relations between the parties, to come up with ideas to improve moving the mail, and to “deal with” various problems. In general, it was supposed to help improve the quality of work life of both parties. Not too long after the USPS initiated committees began to “deal with” problems, the APWU filed National Labor Relations Board (NLRB) charges against the USPS for using this process to take work away from APWU represented crafts. 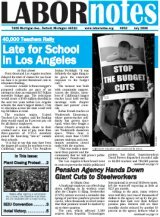 All of the other unions discovered they had been duped, once they realized the USPS was using the EI/QWL process to further its own agenda and eventually pulled out of the process. In 2013, the USPS implemented the “Communications Ambassador Program”. This program was designed for craft employees to function as Communication Ambassadors and relay general information peer to peer on the workroom floor. 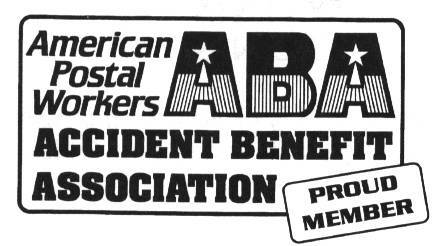 The APWU was opposed to a selection process by the USPS of employees to be involved in any such program due to being the sole discretion of the APWU who represents employees, and any program that seeks to undermine that authority. Please don’t misunderstand me, the APWU is always seeking processes that will benefit and better our member’s lives and working conditions. Those employees who accepted the invitation to participate in this program had the best of intentions to be involved. The problem was, the APWU was not given any consideration regarding a process that could negatively impact those working conditions which have been negotiated. Now the USPS is once again attempting to take a backdoor approach by the implementation of the USPS Safety Ambassador Program. 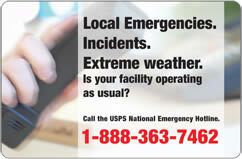 Are you aware the USPS is one of the most dangerous federal agencies to work for? It’s one thing to implement a process for relaying of information. It’s another to attempt to replace the already negotiated processes we have concerning the safety and health of our union members. I have read the information associated with this program, and I can tell you this program will do absolutely nothing for your safety, but rather create more unchecked issues in the long run. To replace or attempt to alter what is already established will result in less checks and balances, and more injuries that you the member, will have to deal with possibly for the rest of your life. The selection of the Safety Ambassadors will ultimately be up to the installation head after the union provides input. PS Form 1767 (the form craft employees use to report a safety hazard in writing) will be replaced by verbal reporting of hazards. Really? No written record of what an employee or shop steward has identified as a safety hazard? Pretty much eliminates any accountability or liability for the USPS if there is no written record of an employee reporting a safety hazard. How many PS Form 1767’s have you submitted that management attempted to ignore that has or is currently being addressed with your local Safety and Health Committee? I would much rather have documented minutes of meetings in which any and all safety related issues are addressed and documented by members of a committee the union designated, which includes local union officers and shop stewards. This is not to bash or discourage anyone who isn’t a shop steward from participating, but rather to enlighten you concerning the USPS motives. There are so many downsides to this program that to elaborate would require at least a few more pages of reading. Instead, it would be better for you to take a trip down memory lane as well as looking around the facilities you work in. The amount of issues that would go unchecked that affect the Clerk, Maintenance, and Motor Vehicle Crafts would pale in comparison to the amount of safety and health issues we are currently addressing. Do you really believe some of the issues that have been addressed and future issues will really be resolved by way of this program? Do you really think the USPS would have addressed issues pertaining to your facility by you simply verbalizing your concerns without documenting what you reported, and no discussion of what was documented with the USPS by members of the local safety and health committees? I would imagine there would be a handful that would be, simply to have the appearance of some type of engagement between craft and management in order to prevent immediate program failure. It amazes me with all of the safety and health related issues myself and other committee members have rectified over the years, the USPS would now attempt this type of bait and switch game. If you think there are problems now sisters and brothers, you haven’t seen anything yet. That is exactly why this Safety Ambassador program is being challenged by the APWU. The devil is in the details and all you have to do is follow the money and unfortunately the trail of injuries. National APWU has initiated an Article 19 appeal to arbitration on the implementation of this program (Q15C-4Q-C 18055498). We believe the USPS has violated Article 5 Prohibition of Unilateral Action (past practice of safety programs and failure to negotiate), Article 14 Safety and Health, Article 19 Handbooks and Manuals, ELM Chapter 8. Locally we are filing Article 1 Union Recognition grievances as the union is the exclusive bargaining representative for those we represent, and Article 14 Safety and Health Committee processes being violated. The USPS is very sly when implementing programs that are supposed to help employees, but in actuality do more harm than good to those very employees. For some of us that have been around for a few years, we have experienced how the USPS operates. I’m hoping those of you who have only worked here for a few years will understand this is the USPS repeating bad history, and why you need to pay attention to what is being put in front of you at all times. What is the definition of insanity? Doing the same thing over and over again and expecting different results. If the USPS put as much effort into the contractually obligated safety and health processes that are already established, instead of rolling out what appears to be a wolf in sheep’s clothing, there would be more positive results and less injuries to craft employees. In the interim, if any of you are approached by the USPS to participate in the Safety Ambassador program, my advice would be to politely decline management’s invitation until the grievance process is completed. This is no different than abstaining from participating in the Voice of the Employee V.O.E survey, or the Postal Pulse survey, with the exception that the USPS Safety Ambassador program can result in damage that you may not walk away from. As time goes by in your careers and life, you should always be careful who and what you place your trust and faith in. Be kind to each other and always work safely.